Warm, balmy weather. Perfect winds for taking out visitors. 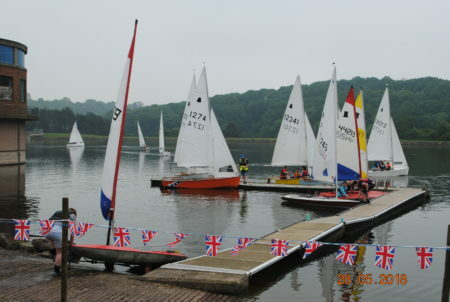 Lots of young children and Mums and Dads- what a great afternoon for “Try Sailing in May “. Thanks to the thirty + members who came to make this such a successful event. It was such an enjoyable day. The cakes were delicious but I missed out on the sausage rolls. Well done Linda and her galley staff. Check out Facebook for more photos.